Mayfair Office couldn’t be easier to visit. 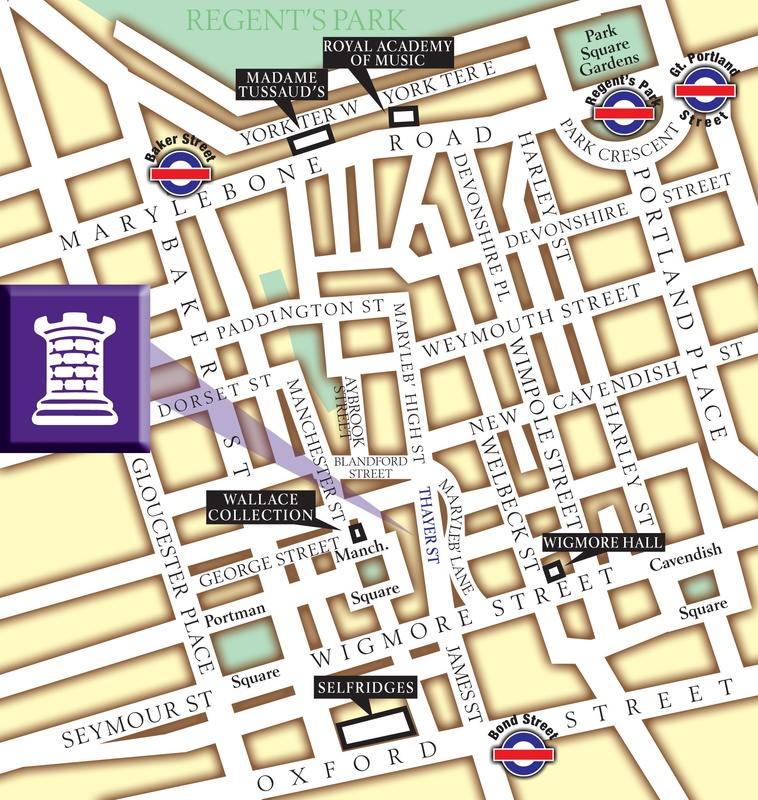 The office is only five minutes’ walk from Bond Street Tube station. Situated to the north of Oxford Street and at the southern end of Marylebone High Street, the office is close to Selfridges and just round the corner from the Wallace Collection in Manchester Square. There are easy Underground connections to Bond Street from all major London rail termini. For those that wish to drive we would suggest you don’t. But for those that must there are numerous NCP car parks close to the office. Please note parking is expensive, especially on meters, and the office is within the London congestion charge zone. Mayfair Office is open from 9:30am to 5:30pm, Monday to Friday.